In 1976 two journalists head to the French-Swiss border to investigate a strange case of cattle mutilations, their footage would be used for a TV show. With the scientific team they were supposed to meet gone missing they are escorted by a British biologist and an American forensic investigator to search for the missing team. As they get closer to the top of the mountains they come across evidence of the cattle mutilations but no sign of the missing team. They will soon realise that there is something that stalks these mountains and it is hungry for flesh. Their footage would not be discovered until 2017. This is a french attempt into the world of found footage and it is definitely one of the better found footage films in recent years. 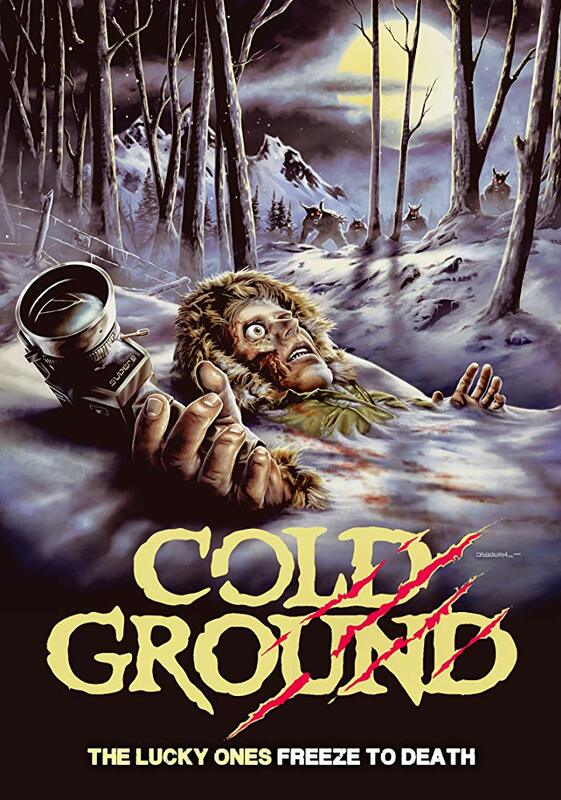 As many found footage films have before, COLD GROUND also uses THE BLAIR WITCH PROJECT as a template, understandable considering how successful that movie turned out to be. The film comes complete with fake scratches on the footage to give it that aged 70's look though it is not over done and definitely works in this film. Acting wise there is nobody who really stands out but the environment they are in certainly is impressive. Fabien Delage is a director to keep your eye on if COLD GROUND is anything to by. If the suspense doesn't get to you the isolated location the film is shot in will.